As empires go into terminal decline, their generals go, too. Enroute, they become egomaniacs. The pensions for retired military madmen are modest, so the generals run short of cash. The source of money which financed General Sir Richard Shirreff (lead image, left) to produce a book claiming Russia is about to launch a war against Europe, sink a British aircraft carrier, shoot down several US Air Force F-16s and kill 300 American troops at a Latvian airbase, is not disclosed by him, nor by his publisher and publicity agent, Hodder & Stoughton. In Shirreff’s 436-page war, the US, UK and NATO defeat Russia by an Anglo-American commando and missile attack on a battery of Iskander nuclear missiles in Kaliningrad. That in turn triggers a Kremlin putsch that ends with the death of President Vladimir Putin in a helicopter crash. His successor, “even more of a hardline nationalist”, according to Shirreff, is forced “to return the Baltics to get Kaliningrad and their missiles back”. Since the disclosure last week that the Pentagon paid $540 million to the London public relations firm Bell Pottinger to produce fake press materials and propaganda to justify the US military occupation of Iraq, the involvement of the firm controlled by Lord Timothy Bell in propaganda operations against Russian targets is suspected as much in London as in Moscow. Karen Geary, Shirreff’s publicist in London, said that reports suggesting Shirreff was paid to compose propaganda “are completely wrong”. Shirreff’s mortgage is on a house he identifies in his preface at the Hampshire village of Laverstoke. This village is famous for blood-letting and highly distilled thinking – it is the headquarters of the black-pudding specialist Laverstoke Park Farm, and the Bombay Sapphire gin distillery. Shirreff repeatedly emphasises his military “experience” to write what he calls “not fiction as such. This is fact-based prediction, very closely modelled on what I know, based on my position as a very senior military insider at the highest and best-informed level”. For a copy of the book, click to buy. In Shirreff’s career, the only battles he attended were the British Army’s operations against the Irish Republican insurgency in Ulster (three tours); Operation Desert Storm against Iraq in Kuwait; counter-insurgency ops in Kosovo and Bosnia, after Serbia’s defeat; and finally, the British occupation of Basra, in the second allied war against Iraq. Shirreff got his promotions without facing an enemy with comparable men or firepower, or matching artillery, tanks, or ships. He’s never fought a battle without total air superiority above his helmet. His only experience of the Russian adversary was picked up in his seven years on NATO’s command staff, including the year 2008, when he says Russia invaded Georgia; and 2011, as NATO began its wars in Libya and in Syria. When the war against Russia started in Ukraine in late February of 2014, Shirreff got as close to being court-martialled by his superiors in London as any British general in recent history. Shirreff admits at the front of the book that a court martial was considered but that “wiser counsel had prevailed”. The problem, his fellow officers say, was not Shirreff’s modest experience with arms, but his immodest mouth. His reputation in the British General Staff was that of a man who advertised himself for promotion in the press, and would, accordingly, say almost anything. Shirreff concedes his real experience, er fact-based prediction, comes from his Latvian friends, and from a special Polish friend whom he calls Radek Kostilek and describes as “grey-haired, high-cheekboned and with a humourous glint in his eyes…inclined to wear his heart on his sleeve and prone to react emotionally.” Shirreff means the ex-defence minister, ex-foreign minister, ex-speaker of the Polish parliament, Radoslav (Radek) Sikorski (right). In Shirreff’s take, Sikorski is promoted to the position of Secretary-General of NATO. This was the post which the US, UK, and a majority of the NATO governments refused to allow him when he was a candidate for the job in 2014; for details, read this. Sikorski has returned Shirreff’s favour by promoting the book in his Twitter feed on May 21. The Polish connexion, undisclosed by Shirreff or Sikorski, has been traced in Warsaw to payments by the Atlantic Council and by US and European military contractors. In a report dated a few weeks after Shirreff’s book appeared, the Atlantic Council published “Arming for Deterrence: How Poland and NATO Should Counter a Resuurgent Russia”. This repeats as recommendations for strategy and tactics many of the operations Shirreff reports in his book. These include the multiplication of Polish field troops by half; advance publication of Russian targets Poland proposes to attack; Polish spetsnaz raids across the border into Russian Kaliningrad; purchase from the Polish state budget of the American-made Joint Air-to-Surface Standoff Missile (JASSM), to be carried by Polish Air Force F-16s; plus “the statement…that Poland will immediately and unilaterally come to the aid of the Baltics (and Romania), should they be attacked in any way, pending a NATO-wide decision on Article 5.” In short, a Polish declaration of pre-emptive war against Russia, before NATO decides. The JASSM missiles are manufactured by Lockheed Martin, which is one of the Atlantic Council’s largest financiers. Lockheed Martin was also a sponsor of the Wroclaw Global Forum, where Sikorski was a keynote speaker. Shirreff’s co-author for the Atlantic Council report was Maciej Olex-Szczytowski (right). In 2011-12 he was Sikorski’s “special economic adviser” at the Foreign Ministry. 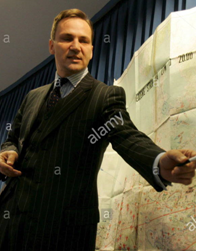 In 2005-2007, when Sikorski was Defence Minister, Olex-Szczytowski was the chief executive of Poland’s Military Property Agency. That’s a procurement operation which, Olex-Szczytowski acknowledges, “restructured [as a] for-profit entity to match NATO standards in logistics, outsourcing and investment.” Nowadays Olex-Szczytowski calls himself the advisor on Poland for BAE Systems, the UK manufacturer of military aircraft, munitions and electronics. 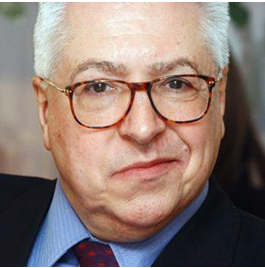 Olex-Szczytowski is also employed as associate director at a UK consulting firm called Strategia WorldWide. Shirreff was listed as one of the firm’s two founding partners when it was called, after himself, RS Consulting WorldWide. That was in November 2015. The first indication that Shirreff’s name may not have quite the market draw he expected was the press launch with a change of company name to Strategia WorldWide in March 2016. Paying the Shirreff firm’s start-up bill are McKinsey, two mining companies Barrick Gold (Canada) and Vedanta Resources (India), and an insurance company which wants to remain anonymous. The miners have hired Shirreff “to assist management in handling local protest groups” – er, counter-insurgency. Last month Lockheed Martin UK announced a deal for fresh air defence equipment with the Polish defence contractor Polska Grupa Zbrojeniowa. If the Polish military intends to take on the Russian targets Shirreff and Olex-Szczytowski are promoting, the book has already paid for itself; that is to say, the Polish taxpayer has paid for it. For a Polish assessment, read this. The Russian press has focused on Shirreff’s promotion, along with Sikorski, of Polish war plans against Russia, and the procurement of US and European Union equipment to do the job. Unremarked in the analyses on the eastern and western fronts is Shirreff’s demonstration that he, his NATO and American colleagues all believe the decision to go to war in Europe and to start global nuclear war must not be taken by an elected parliament. Shirreff presents as much on the western as on the Russian side a decision-making process for war which is restricted to soldiers, bureaucrats, and politicians. In Shirreff’s blueprint for military dictatorship, the President of the US doesn’t ask the US Congress for permission to go to war, and doesn’t even consult a congressional committeeman. The constitutional legality of the American and British warmaking has apparently not troubled the prime minister much more than his general. According to Shirreff, there is no parliamentary debate or vote on whether to declare war on Russia and send the aircraft carrier into action – a Russian submarine sinks it – but there is a Commons vote of no-confidence in the prime minister after the event. Only the prime minister resigns then, not the cabinet of ministers, and he is replaced by a “masterly political operator” named Little. He doesn’t ask the Commons for a vote on war either. Noone inside Shirreff’s pages, nor outside them, appears to have heard of the 7-year Chilcot Inquiry into the Iraq War, whose condemnations – published eight weeks after Shirreff’s fiction, but days before his Atlantic Council report — include lying to parliament, fabricating intelligence assessments, evading the law, and underestimating the costs and consequences of military action. Who or what paid Shirreff to do all this? The Bell operation to produce propaganda for the Pentagon in Iraq was defended over the weekend by Bell himself (below, left), and by Martin Wells (right), the subordinate in charge of the operation. The body count doesn’t figure in Shirreff’s production. His own cleverness does, but he can’t detect the paradoxicality. “The only way this works”, Shirreff records the US president as saying as she plans to attack the entire Russian military command and control system, “is if they don’t see us coming.” If that’s what Shirreff believes he is doing, who believes there’s more money to be made than lost from paying him to telegraph the punch in advance.